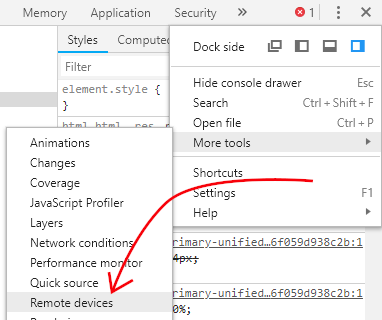 In Chrome for desktop I have options in the dev tools to disable cache completely when dev tools are opened and I have the options to manually do a hard reload when long clicking on the reload button (with dev tools open). I'm using window.location.reload(true) according to MDN (and this similar question) it forces page to reload from server. Viewing the page in incognito mode will disable the cache. It was the only way I could force a refresh on a stylesheet without manually clearing the cache through the settings. Check "Cache" and press "CLEAR"
and then reload the page. You can use the Request Desktop Site option from the app menu (to the right of the address bar) which will force the page to reload. Simply tap it, wait for the refresh, then deselect it. Mentioning this because you mentioned "when developing". You can control the mobile device via your Chrome Desktop Browser. Visit chrome://inspect/#devices on your desktop. And Inspect the device that's connected to your desktop. Agree when asked for permission. 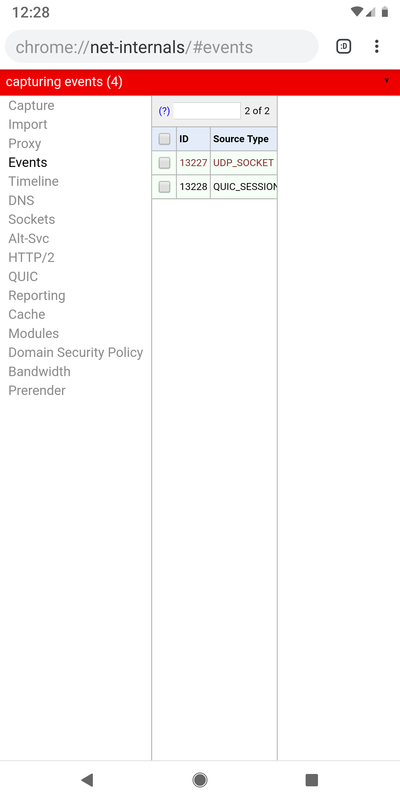 You should now see a full fledged Devtool window for the current page on mobile device. Now, Use the hard reload shortcut (Cmd+Shift+R) on desktop to do hard reload on mobile device! 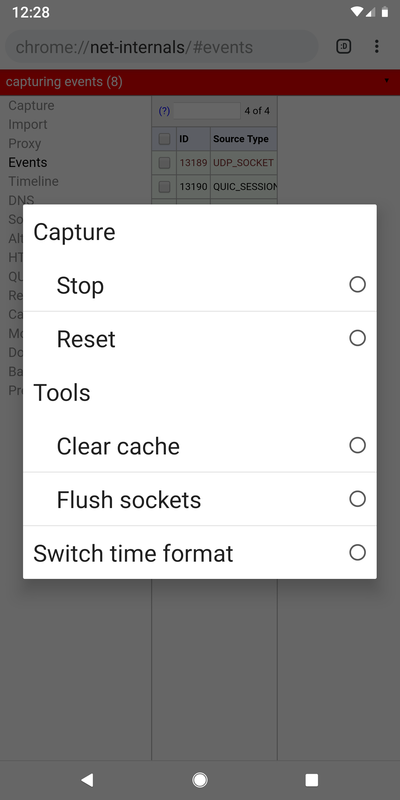 Don't forget to make sure that the "Reduce data usage" setting is turned OFF, as it seems to download cached data (from Google servers?) even though your local cache is flushed. I know this is an old question, but I found that the accepted answer didn't work for me. An alternate solution would be to append the url with a new url parameter such as website.com?a=1, website.com?a=2, etc. 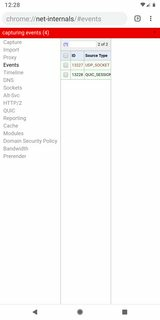 Recent versions of Chrome cache very aggressively. Even cache-busting techniques such as "http://url?updated=datecode" stopped working. You must clear the cache or launch an incognito window every time (and make sure data-saver is off). proceed with Clear data and confirm. As mentioned in another answer, incognito tabs are also of great use for development. I found a solution that works, but it's ugly. Connect the Android device to your PC with a USB cable and open Chrome on your desktop. Right-click anywhere on a page and select "Inspect". Reload the page on your phone or using the reload button in the DevTools window. 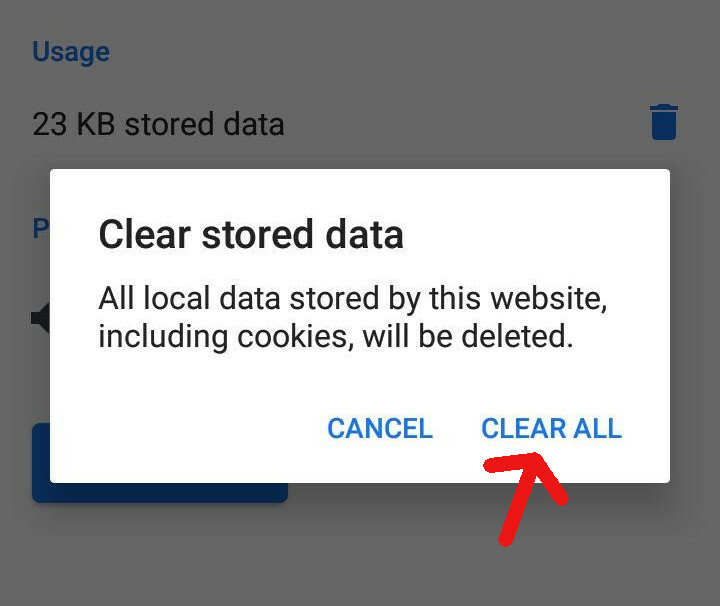 Select "clear cache" from that menu. 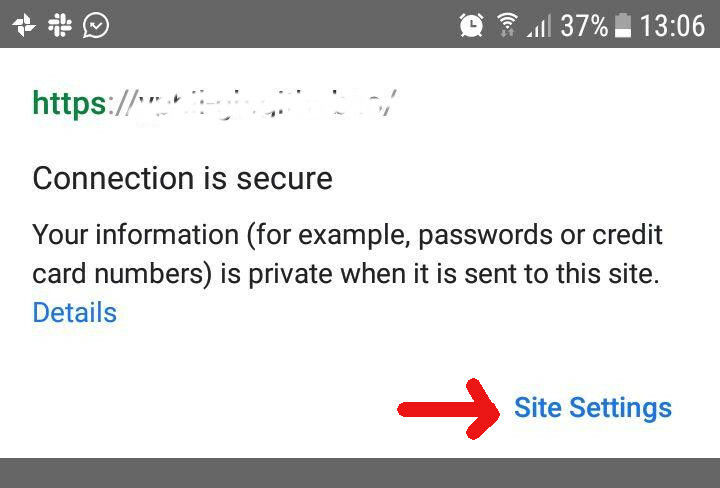 2 - tap "Site settings"
That's it, even the most deeply ensconsed service worker for that URL will now die. Not the answer you're looking for? Browse other questions tagged google-chrome google-chrome-devtools chrome-for-android or ask your own question. 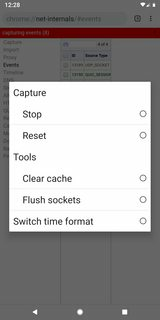 What's the difference between “Normal Reload”, “Hard Reload”, and “Empty Cache and Hard Reload” in Chrome?